What Does the Future Hold For GTA Online? What Does the Future Hold For Grand Theft Auto Online? To say that Grand Theft Auto V and its online component have been a runaway success for Rockstar Games may read as a colossal understatement, but even now, four whole years after its initial launch, the open-world blockbuster continues to pull in the big bucks for Take-Two Interactive. 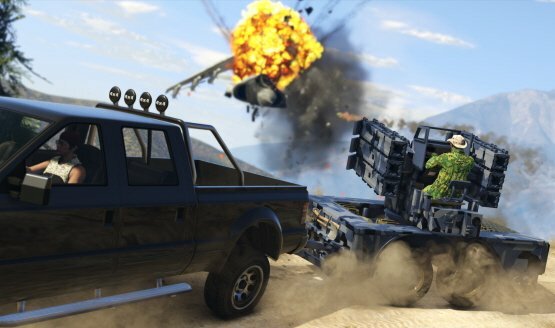 As a matter of fact, just last month Rockstar’s parent company posted better-than-expected figures for the first quarter of fiscal 2018, and that historic feat can largely be traced back to Grand Theft Auto Online, which enjoyed its best quarter ever. Yes, ever. Virtual currency, downloadable content, microtransactions—this is the fuel that has kept Grand Theft Auto Online ticking over since release. And it all looked to have gone pete tong when Rockstar initially flipped the switch and opened its persistent multiplayer arena to the masses back in 2013. Widespread technical issues and a lack of content meant GTA Online’s launch was ostensibly rendered disastrous, leading to all kinds of year-end accolades ranging from Best Multiplayer all the way down to Biggest Disappointment. Talk about divisive. 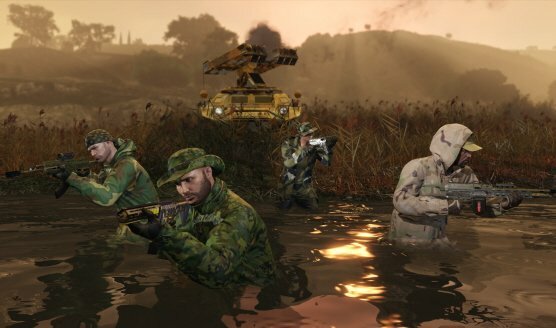 Those teething problems continued into the next 12 months, during which time Rockstar slowly padded its online juggernaut with different types of vehicles, clothes and weapons, along with timely themed content such as the Valentine’s Day Massacre Special. 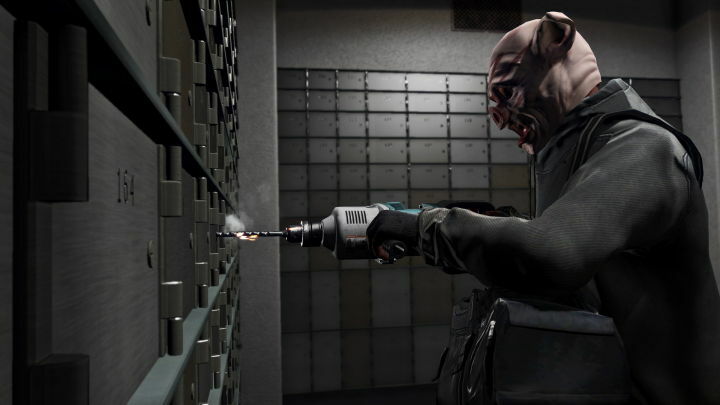 Heists weren’t added to the experience until March of 2015 and even then, the long-anticipated feature endured a shaky launch no thanks to the pent-up demand. It’s been a rocky road, then, but Grand Theft Auto Online has aged like a fine wine. To their credit, the creative minds at Rockstar Games have always kept one ear to the ground, dolling out scores of free updates to fine-tune the at-times hectic multiplayer experience. Hectic in the best possible way, of course. From content creation tools to those elaborate, wildly entertaining Heist missions, the GTA Online of 2017 is a far cry from the unstable base game that touched down four years prior. And that gradual transformation from bust to boom—from rags to riches—can be seen in Grand Theft Auto V’s lifetime sales. It’s unprecedented, frankly. 80 million units sold places Grand Theft Auto V among the best-selling games of all time—only Wii Sports, Tetris and Minecraft rank higher in the charts—and the only other GTA title to come close is San Andreas, which tapped out at 27.5m in 2014. For the record, other mainline entries include Grand Theft Auto IV (25m), Grand Theft Auto: Vice City (17.5m), and Grand Theft Auto III (14.5m). A Hiatus On the Cards? Read between the lines, though, and you’ll realise that GTA V’s continued success is something of a double-edged sword. Because the creative minds at Rockstar have been so focused on introducing new content (see: the Smuggler’s Run and Gunrunning updates), other projects are at risk of slipping onto the back-burner. And there is perhaps no better example of that bittersweet dilemma than the fabled single-player DLC for Grand Theft Auto V.
Four years ago, Rockstar hinted that “substantial additions” were coming to the game’s single-player mode, and presumably planned to incorporate some form of expansion in the vein of The Ballad of Gay Tony or Lost and the Damned. But those plans quietly fell by the wayside as GTA Online grew into a lucrative behemoth. It’s also worth pointing out that Microsoft purportedly shelled out $50 million so that GTA IV‘s single-player add-ons remained exclusive to Xbox 360 for a period of 12 months. The finer details of that arrangement have always been kept under lock and key, but it presents some interesting food for thought. 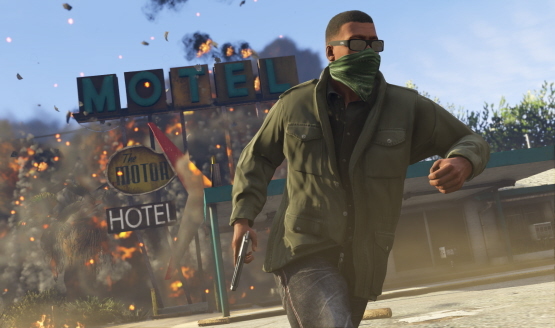 After all, the creative minds at Rockstar initially considered single-player DLC to be an exercise in risk-taking, as digital downloads were still rather sluggish in 2008, not to mention the fact that the company wasn’t able to gauge how many players could access online content in the first place. Thankfully, online infrastructure has come on in leaps and bounds ever since, but it’s really the continued success of GTA Online that has forced said expansion down the pecking order–if it hasn’t been outright scrapped. Not only that, but Grand Theft Auto Online has survived a console transition, too, with Rockstar releasing a comprehensive version of GTA V–replete with improved frame-rates and a first-person mode–to expand its audience onto current-gen systems and, later, PC platforms. Now available on five different platforms, it’s no wonder Grand Theft Auto V and its online component, in particular, have grown to become Rockstar’s bankable cash cows. But as alluded to before, maintaining that success requires resources–resources that could otherwise be put toward launching new games. Indeed, it could be argued that the newly-unveiled L.A. Noire remaster is an example of that predicament, as the studio looks to fill its slate with content, particularly now that Red Dead Redemption 2 has slipped into 2018. A sparse lineup is something Take-Two CEO Strauss Zelnick touched on while speaking to GamesIndustry.biz, claiming that Q1 2018 was really the exception to the rule. Perhaps the defining moment for GTA Online will be when Rockstar Games lifts the curtain on the inevitable Grand Theft Auto 6. For instance, will the studio consolidate its sixth numerical entry—you know, assuming it doesn’t opt for a spinoff in the vein of Vice City or San Andreas—and a revamped version of GTA Online into a single package? Or will both products be placed on two separate tracks? Grand Theft Auto Online isn’t going anywhere—not yet, at least. Four years on from its original release and GTA V, arguably Rockstar’s magnum opus, continues to rule over sales charts and sustain a thriving online community, and that’s something the studio will look to future-proof going forward. Nothing lasts forever, of course, and given Red Dead Redemption 2 will come packing its own online component on day one, it’ll be intriguing to find out how the creative minds at Rockstar keep both plates spinning come 2018. But for the game that was once described as Rockstar’s lasting legacy, Grand Theft Auto Online has been the lifeblood that has cemented GTA V‘s place in the sales charts for the past four years, nudging its total tally north of 80 million. And that’s a feat worth celebrating; even if GTA Online‘s best days are behind it.